Editor’s note: This is the fourth in a series of 14 team previews on NASCAR.com. Next up: Germain Racing on Feb. 6. A list of team previews already published is at the bottom of this story. What’s new: Namely a technical alliance with Hendrick Motorsports, which JTG Daugherty Racing officials confirmed in November 2017. The aim? Improve the team’s simulation abilities and aero development. The No. 37 team also has a charter of its own after leasing one last year; the organization purchased it from Furniture Row Racing in the offseason. That brings added stability to an organization that grew to two teams in 2017 and rotated three crews chiefs on the flagship No. 47 Chevrolet. And of course, the Chevrolet Camaro ZL1 is a new — and welcome — addition for all teams that run Chevrolets. What to watch: If a more consistent operation brings more consistency to results. It’s Year 2 for Buescher with JTG, and he enters the season more comfortable in his ride and with the team’s personnel. For Allmendinger, having Smith return as crew chief brings stability he didn’t have last year. 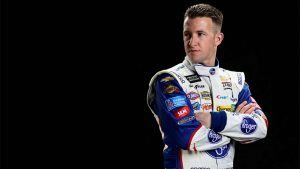 Key question(s): Will AJ Allmendinger return to his road-course ace form at Sonoma and Watkins Glen? Those road courses likely represent the team’s best shot at winning and advancing into the playoffs … where another road course, at Charlotte, looms as the Round of 16 elimination race. Chris Buescher, No. 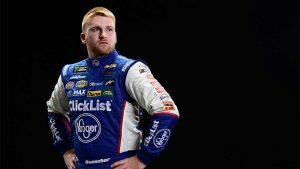 37 Kroger ClickList Chevrolet: One year after joining JTG Daugherty Racing on loan from Roush Fenway Racing to help the team launch its second-car operation, Buescher is fully under contract for his sophomore season with the team. Coming off a win during his rookie year in 2016, Buescher didn’t get back to Victory Lane last year, but he quietly made noticeable gains. AJ Allmendinger, No. 47 Kroger Chevrolet: Allmendinger had more crew chiefs than top-five finishes in 2017, starting the season with Randall Burnett, before Ernie Cope replaced him atop the box … before eventually giving way to Tristan Smith. It was difficult to meet performance goals with that turnover (Allmendinger’s top-five finishes dropped from two to one, and his top-10 finishes fell from nine to five), but the team hopes it is now better positioned for 2018. Allmendinger remains one of the series’ best road-course racers. 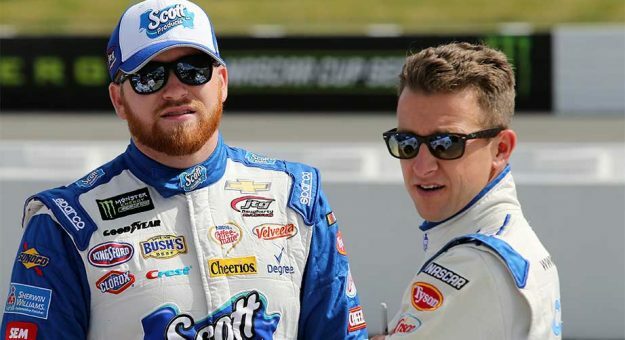 Sneaking a win at Sonoma or Watkins Glen brings added meaning this year as the playoffs add a road course in the first round at Charlotte, where Allmendinger could shine. Allmendinger’s prowess at Martinsville is an under-the-radar talent. He said that he and Buescher have a fantastic relationship that should continue to grow.